"Do keep up. Stuffy commutes are old news (thanks to last season’s Natural Cool shirt), so this season we’re turning our attention to keeping chaps cool at downtime. 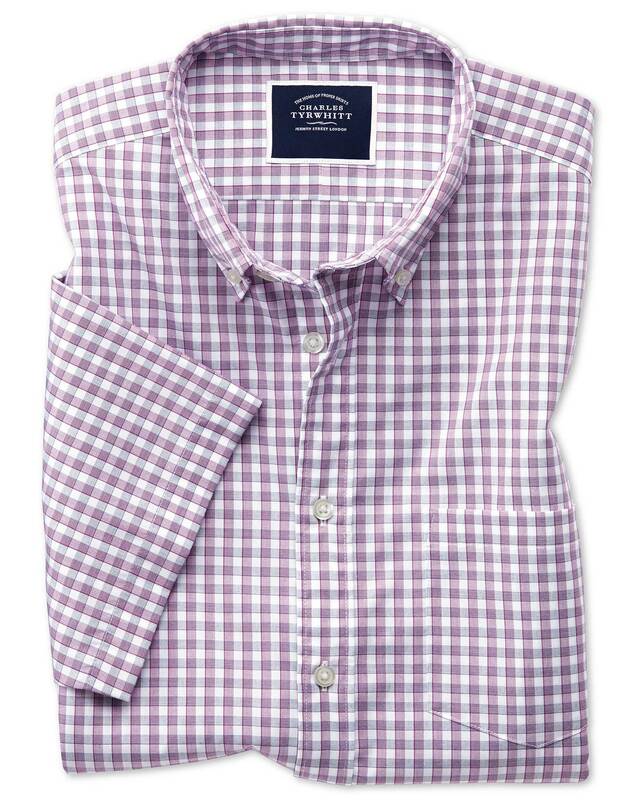 Enter: Soft Wash Tyrwhitt Cool Shirts. Part of our heat-beating Tyrwhitt Cool range of clothing, designed to help you keep your temperature under control, these fine poplin shirts have also been washed with our top-secret wash for a pleasingly soft hand feel. And they’re non-iron to boot." "100% soft cotton shirt with a special finish that keeps you cool, dry, and comfortable all day." A button near each collar point allows the collar to be fastened to the shirt for a neat result without curly collar-points. Originally invented for polo players to stop their shirt collars flapping around while on horseback, a button-down collar can be worn with or without a tie, making it easy to dress up or down. Charles Tyrwhitt's range of natty clothes designed to keep heat and moisture at bay.